Microsoft Build is a developer conference and anyone present at this morning’s keynote could make no mistake about its highly technical slant. However, alongside a new pre-release build of Windows 10 was one new product everyone could relate to: Microsoft Edge, the new default browser for all Windows 10 users, formerly called Project Spartan. This beta version of Edge is linked to the new beta of Windows 10, which was also released in time for the conference. Edge is the epitome of Microsoft’s universal strategy, in which major functions are linked and integrated. But Edge itself is the picture of minimalism. The interface is clean and the few controls go a long way. There are also an abundance of Windows 10 related functions built into the app alongside an assumption that people will be working with some kind of hybrid laptop like a Microsoft Surface or today’s highlighted HP Spectre. Checking out Edge on one of the PCs in the press room, it did not take long to cycle through the basic functions. The upper right hand corner of the browser contains the vast majority of the controls. Tap or click to add stories to a reading list, use the star icon to designate a favorite, or click the icon to call up the new inking function. And because this is a beta, there’s also a feedback function. The Reader looked very nice. You want to navigate to a page where there’s a discrete story so that the reader icon becomes available, and then it gives you a clean, easy-to read layout without all the ads. 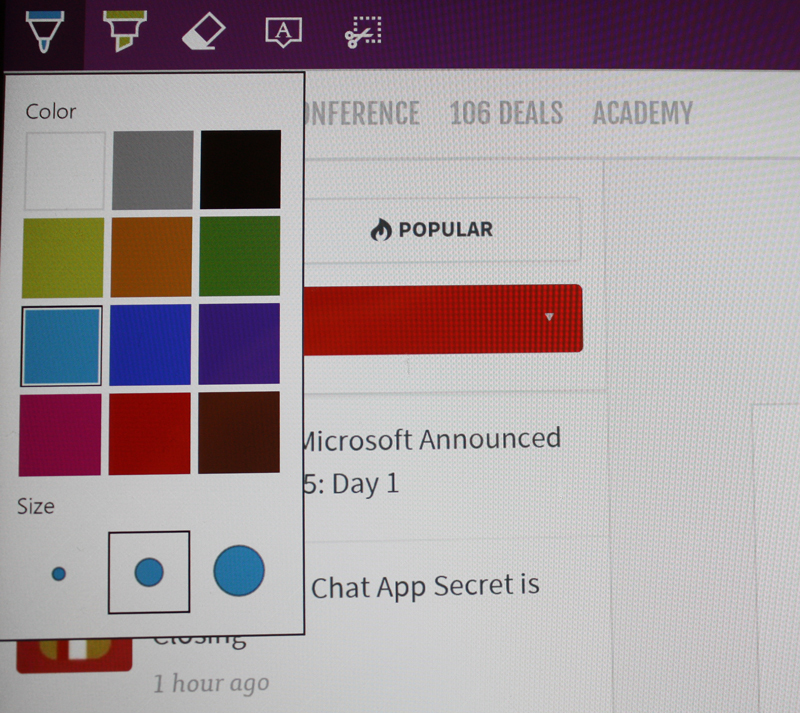 You can also change backgrounds and font sizes. The inking function lets you choose to draw directly on the Web page with your finger or a stylus. You can ink with a pen or a highlighter and also pick a color to work in. I had only my fingers, and the result on screen was a little awkward, but I can see how tearing off the tablet portion of a Surface and working on your lap, for example, might be easier. Regardless of how you use it, you can save your annotated pages to OneNote if you want, or just keep them in your reading list or favorites. The system seemed very flexible and performed well on the demo machines here. 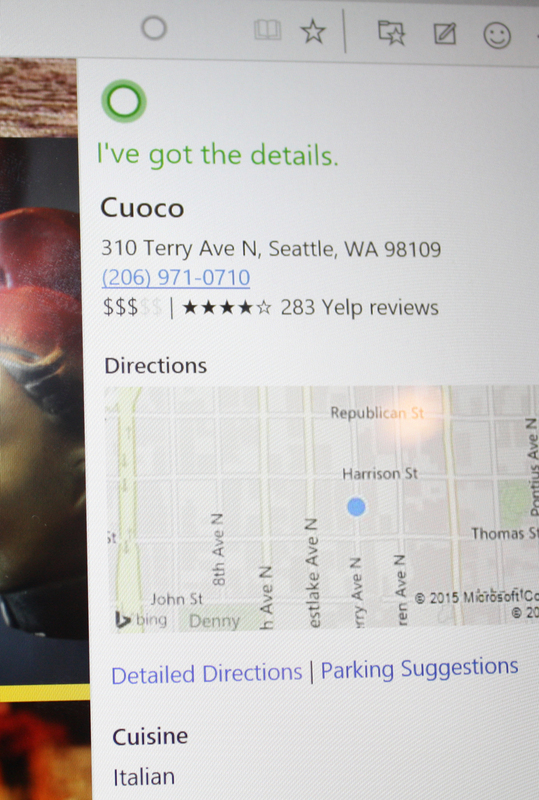 Cortana, the personal assistant that can answer your questions verbally, is also built into this version. Various settings let you determine whether or not you want the voice activation to be audible: It might be fine at home, but not in a library or classroom. 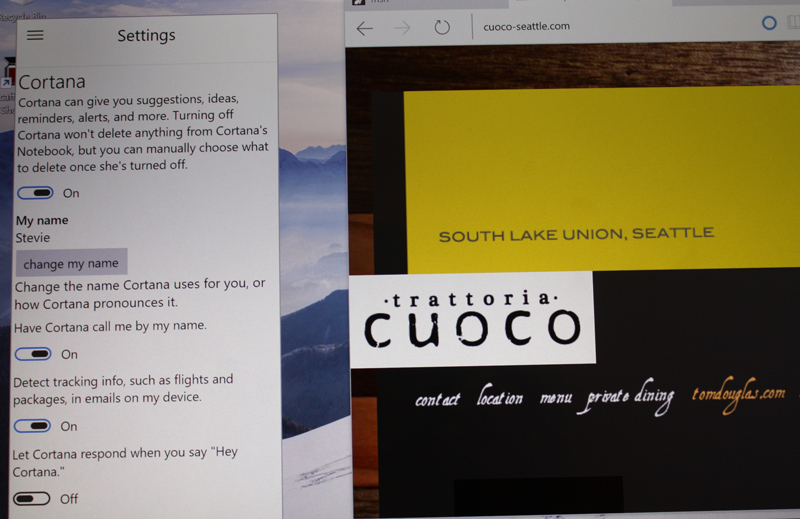 Bing is the back end for Cortana, which can work in either voice or type. 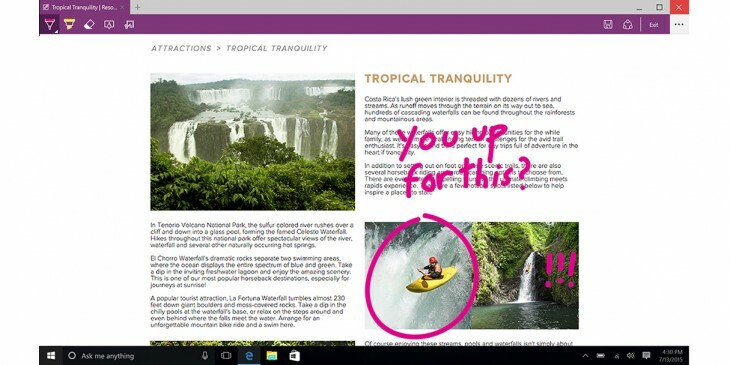 Microsoft Edge goes hand-in-hand with Windows 10 and does not work without it. It cannot be used with earlier versions of Windows, and Microsoft will neither confirm nor deny that it will eventually make an appearance on the Mac. I tend to doubt it only because it’s so tied to the OS, but Microsoft folks here did not rule it out. Windows 10 will be available this summer at a date yet to be determined and it will be a free update to all users of Windows 7, 8 and 8.1. 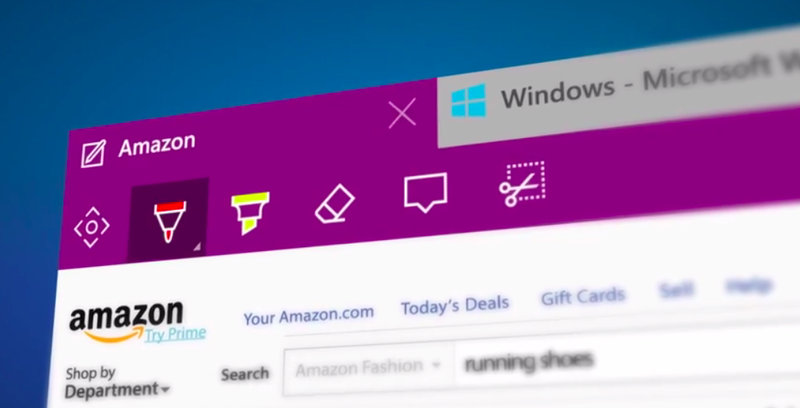 Microsoft believes that will rope in a huge percentage of consumers to whom this browser is targeted. While most people likely have mixed feelings (to say the least) about Internet Explorer, the question of whether Edge renders it obsolete is not farfetched. Microsoft product strategist Rachel Abott told TNW that IE is not going anywhere for the enterprise customers who rely on it. With so many hooks into enterprise, Abott says that IE will co-exist alongside Edge for the foreseeable future. Updated to correct a typo.